Layout templates are Beaver Builder layouts containing any combinations of rows, columns, and modules. They can be appended to or replace existing layouts in both standard layouts and Beaver Themer layouts. After a layout template is added to a page, any aspect of its layout or content can be modified. Tip: If you're not sure what the content area of a page is, see this article. Layout templates are accessed from the Templates tab in the Content panel at the upper right of the screen. Beaver Builder comes with a number of built-in layout templates, which can be a shortcut to designing your pages. Use a layout template that's similar to the design you want, make tweaks to the layout, and add your own content, and you've got a great looking page in no time. Or just try out various layout templates for inspiration or to learn how the layout was constructed. Landing page templates are layouts suitable for use as a landing page or home page. The following screenshot shows some examples. 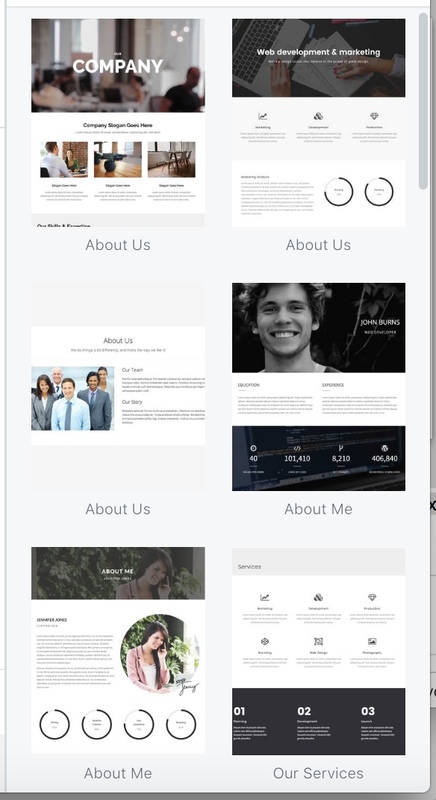 Content page templates focus on specific types of pages, such as portfolios, contact, FAQs, or a signup form. The following screenshot shows a few examples. You want your site to conform to a layout across more than one page. You want to use the same layout or content on another site. In this case, you can export the saved template and import it in the other site. You want to share your layout with another person, or they want to share with you. Exported layouts can be used by anyone else with a premium version of Beaver Builder. Note: Saved layout templates are NOT global. That means if you edit a saved template, it will not affect any pages that you've already added the template to. Nor will a change to any particular page with a template affect the saved template or other instances of it. You can import saved layout templates. 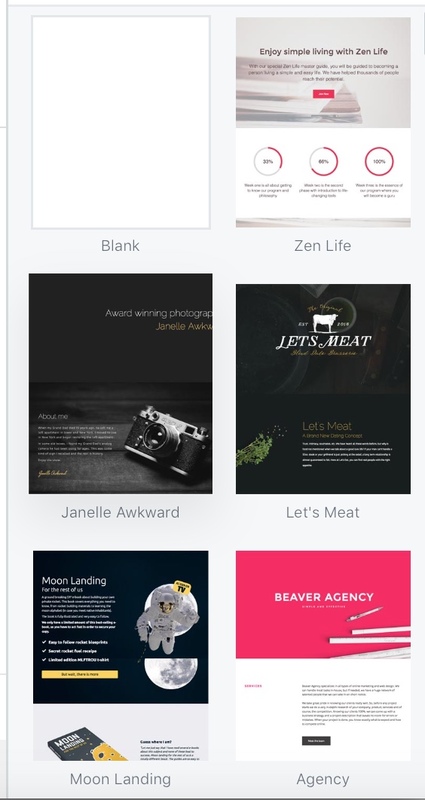 These can be layout templates that you've exported from another site or that someone else has exported and shared with you. See the Related Articles for information about importing and exporting layout templates. You can duplicate the Beaver Builder layout to a new page on your site without the need to save it as a layout template. See the Related Articles. As of Beaver Builder 2.2, you can choose from dozens of prebuilt rows to add to your content. See the Related Article below about prebuilt rows. Third-party layout templates usually appear as a separate group on the Templates tab, which give you a better idea where they came from. They are used in the same way as any other template type.